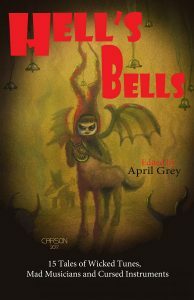 In Hells Bells, thirteen talented writers lure you closer with stories of music that seduce, intrigue and hold you fast. 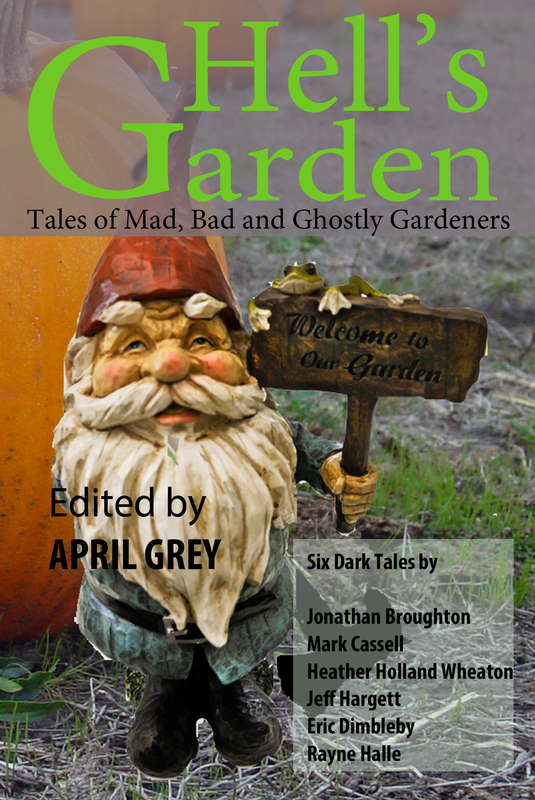 Featuring stories by Rayne Hall, Jonathan Broughton, Bruce Memblatt, April Grey, Tracie McBride, Jake T.S. Wryte, Phillip T. Stephens, Mitch Sebourn, Charie D. La Marr, V. Peter Collins, Oliver Baer, Pamela Walker and Pamela Turner. Contact: lorned@nyc.rr.com, for review copies and authors’ bios. Where: Oasis Community Garden, 505 W. 52nd St., between 10th and 11th Ave.
Bring a blanket and enjoy the thrills! 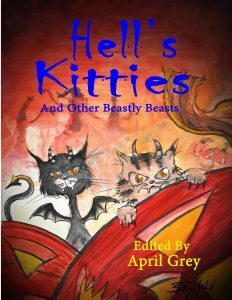 Humorous, dark and heart-breaking stories await you in this anthology. Tales of cats, dogs and birds from the pens of brilliant writers. It’s here, the cover of Finding Perdita, due out later this year from Caliburn Press. Fairy Tales can come true, it can happen to you…Run fast! Down on her luck and out-of-work, actress Cindy White’s life changes–and not for the better–when her roommate kicks her out. Landing in new digs in an old Chelsea tenement Cindy discovers a tunnel from the building’s basement that leads to the land of Perdita, a place she’d thought her father had made up in the fairy tales he’d once told her. A dangerous, ruined place of fairies, demons and captives–like her father, whom she thought was dead. 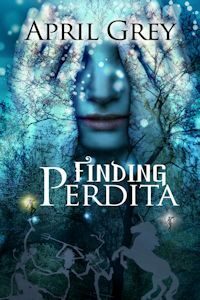 In Finding Perdita, a dark fantasy, a young woman discovers her true self and must align it with the old, leaving the world she knows behind in an effort to free her father. 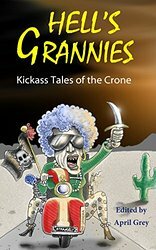 Hell’s Grannies: Kickass Tales of the Crone! Caliburn Press will be publishing my dark fantasy novel, Finding Perdita. Down on her luck and out-of-work, actress Cindy White’s life changes — and not for the better! — when her roommate kicks her out. Landing in new digs in an old Chelsea tenement Cindy discovers a tunnel from the building’s basement that leads to the land of Perdita, a place she’d thought her father had made up in the fairy tales he’d once told her. Perdita is a dangerous, ruined land of fairies, demons and captives, like her father, whom she thought was dead. In Finding Perdita, a dark fantasy, a young woman discovers her true self and must align it with the old in leaving the world she knows behind in an effort to free her father. I don’t yet have the cover art, but this is what I did back when I wrote the novella. Eventually I expanded the story into a novel! 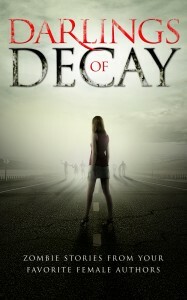 I’m really looking forward to the cover reveal from Damnation Books–they have terrific cover art. 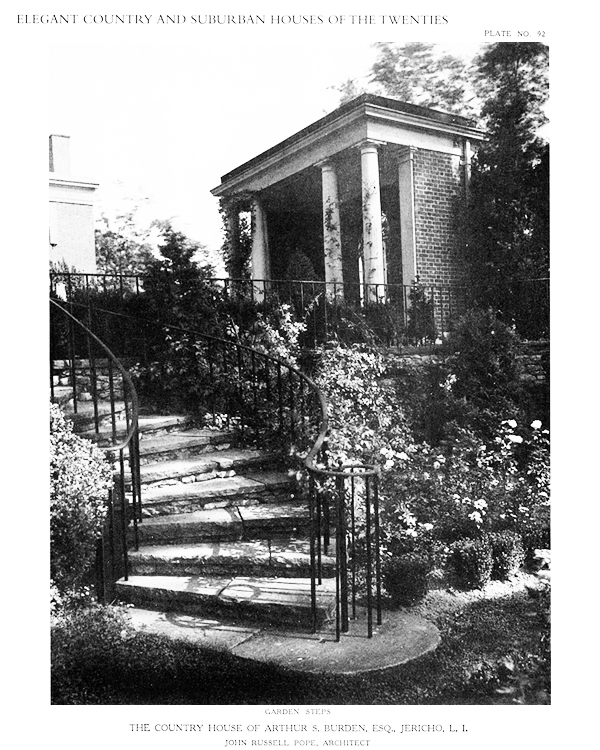 The word garden evokes the image of a place of peace and moderation–the opposite of discord. A gardener decides what plants to cultivate and what is a weed to be destroyed. Both “Gunda’s Gnomes” and “When the Devil Came to Hell’s Kitchen” ask what to do with bullies in community gardens. In “The Orchid” a young woman discovers a new way to look at weeding. 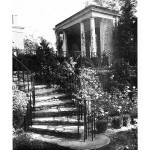 While in “Round and Round the Garden” a girl plays with her friend with disastrous results–our Bad Gardeners. In “Ten Minutes Till Deadtime” mysterious messages draw a man to his back yard. Finally, in “Compost” a family is threatened by a specter in their family vegetable plot. 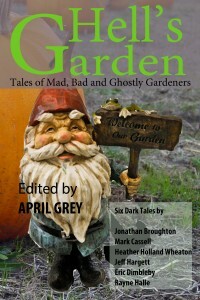 These six dark and fantastic tales explore the various paths evil can take when in Hell’s Garden. I’ll Love You Forever now available in paper! What is love? In the eye of the beholder or something more? In these four dark tales, zombies, ghosts, ancient spells and modern crooks show us that love conquers all–even death and despair. All my e-books at Smashwords are free for the month of July. 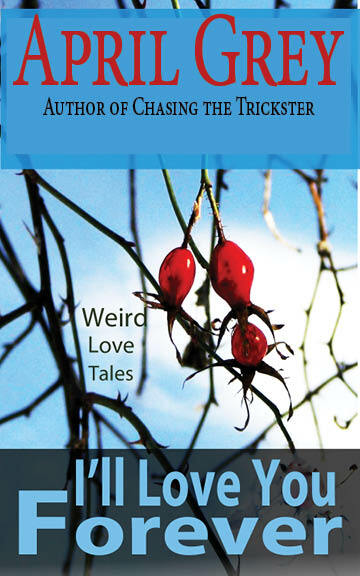 And Chasing the Trickster is half price at Coffeetime Romance. For free at Smashwords is Darlings of Decay–a new anthology of zombie stories by female writers! My story “I’ll Love Ya Forever, But…” is in there. Have a great summer with lots of free dark fiction. Please do drop by and leave a comment! To my blog for weekly updates and information on guest blogs and conventions.